Make an enduring impression when you send this ultra-luxurious bottle of Glenmorangie Single Malt Scotch Whisky Grand Vintage 1990. 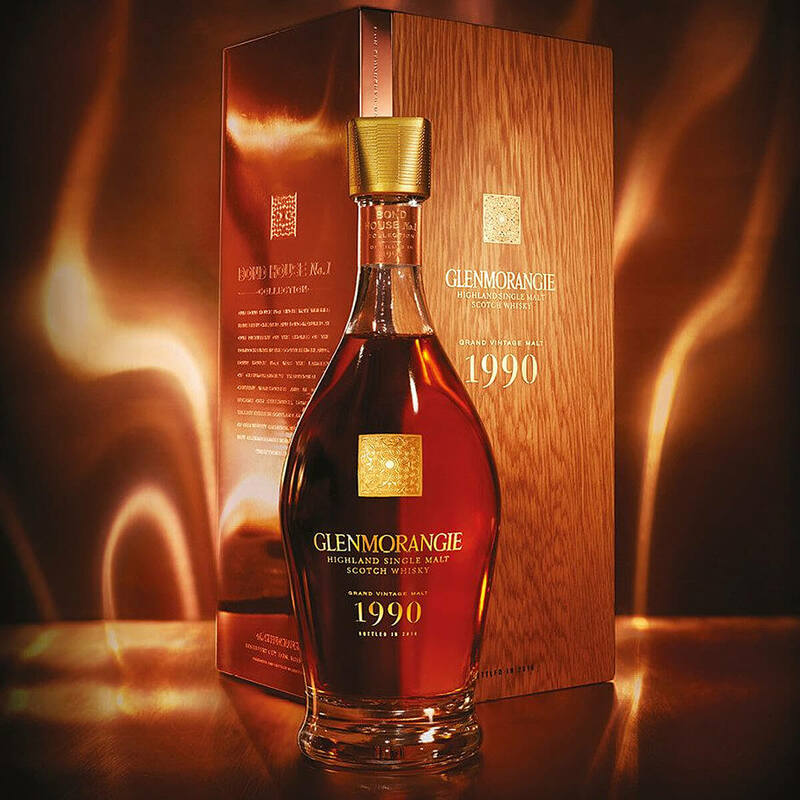 The Grand Vintage Malt 1990 is the inspiring opening of Glenmorangie's exclusive vintage collection, Bond House No. 1. 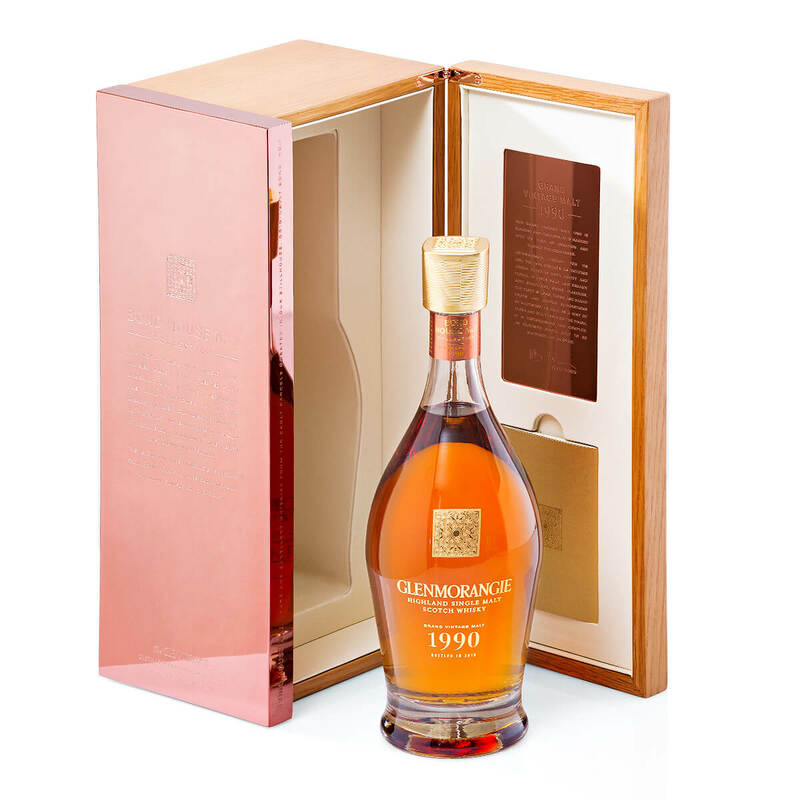 This sublime whisky is presented in a stunning gift box that tells the story of its creation. Glenmorangie's Grand Vintage Malt 1990 is carefully nurtured in the finest former bourbon and sherry casks. After a quarter of a century, the result is an extraordinary whisky with a mellow rounded character. The aroma offers floral and fruity notes of pear, honeysuckle and freesia mingled with orange blossom, candied fruits, mandarin, apple, heather honey, and a distinctive note of beeswax. Savor the taste: a silky, creamy mouthfeel with the succulent sweetness of orange syrup, honeycomb and vanilla. Zesty top notes of gooseberry and menthol and followed with a finish of baked apples, pears, brown sugar, biscuit, and a gentle hint of clove. A must-have gift for any whisky aficionado.